This week the Frankfurt Music Fair opens its gates. At the Music Fair the Best Edition Prizes 2017 will also be awarded. 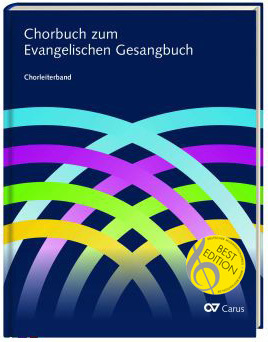 Two key publishing projects from the last year are receiving awards: the Chorbuch zum Evangelischen Gesangbuch (edited by Kay Johannsen and Richard Mailänder), and the latest installment of the LIEDERPROJEKT, the Love songs, which has involved editors Mirjam James, Friedemann Luz, and Frieder Bernius, as well as many performers. Even if Easter is still coming, it is already time to think of your Christmas programs. To help with your choir's program planning, we have compiled a list of larger choral works for Christmas on our website. As well as that, we are looking forward to the Gounod anniversary year in 2018 – with two new publications this month! We wish you much enjoyment in browsing through and making discoveries. 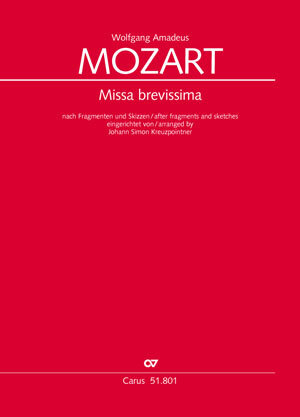 Carus-Verlag offers an extensive range of choral scores for Advent and Christmas time. 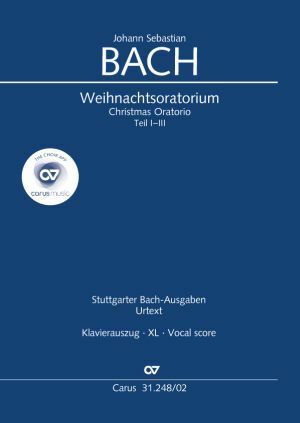 Our practical Urtext editions of the major standard works such as the Christmas Oratorio by J. S. Bach are complemented by our practice aids carus music and Carus Choir Coach as well as Vocal scores XL in reader-friendly large print. You can find the complete range of works for Advent and Christmas time in our current Christmas catalog . Although Charles Gounod is well-known for his operas, church music forms a considerable part of his output. In 2018 the music world celebrates his 200th birthday! 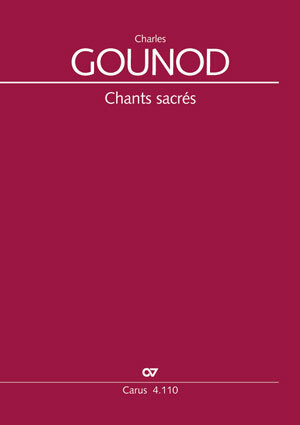 New available in this month are the Chants sacrés which contain 20 smaller sacred motets for 4–6-part mixed choir with organ or piano accompaniment, mostly ad libitum. All works of the collection are also available as separate editions. 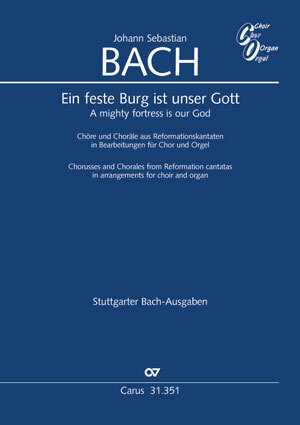 This month we are expanding our Bach vocal series with the new publication A mighty fortress ist our God: Chorusses and Chorales from Reformation cantatas for choir and organ. This edition contains four distinctive movements from Johann Sebastian Bach's Reformation cantatas in arrangements for choir and organ – an excellent addition for the Reformation anniversary year 2017! We have also just published a revised new edition of the Whitsun cantata O ewiges Feuer, o Ursprung der Liebe (O fire everlasting) BWV 34. In this year's anniversary of the Reformation we will be presenting the complete edition of Bach's sacred vocal works with the Bach vocal project. 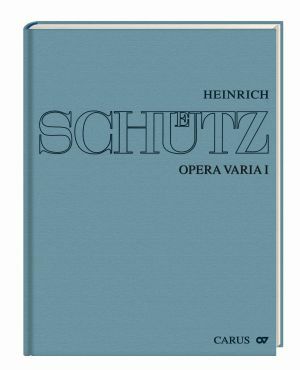 Volume 19 of the Schütz Complete Edition brings together 21 very different compositions from various phases of Schütz's compositional output. The spectrum ranges from a short, two-part sacred concerto to a six-part cyclical psalm setting and large-scale polychoral concerto, from well-known works such as the “Osterdialog” to a completely unknown madrigalian composition, full of emotion, to a simple chorale setting. A particular challenge was posed by the ten works or versions of works which survive incomplete. Widor's early organ symphonies op. 13 have a quite special character because of their suite-like structure. And so the 4th Symphony delightfully combines classical forms such as toccata and fugue with Romantic character pieces. It includes the well-known Andante cantabile , which is one of the composer's most beautiful slow movements. When Wolfgang Amadeus Mozart returned to Salzburg in January 1779 from his journey to Paris, his luggage contained a single church music work – an unfinished Kyrie in E flat major (KV 296a) together with sketches for the Sanctus and Benedictus (KV 296c). 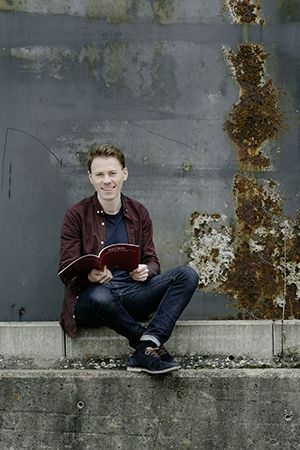 In 2015, at the suggestion of the late Armin Kircher, Johann Simon Kreuzpointner set about compiling a five-movement setting of the mass from this material, also drawing on an unfinished cantata in E flat major (KV 429). The magnificent Komm heiliger Geist, Herre Gott by Michael Praetorius is still suitable for performance by a children's choir and adult choir today; although adult sopranos would not have sung in church choirs in Praetorius' time, they can join in the melody line in the tutti passages. 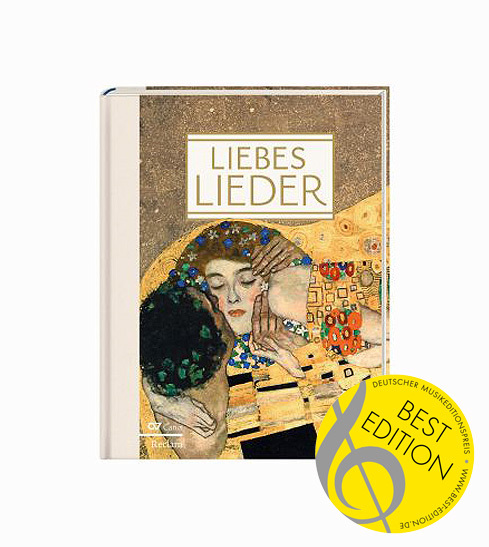 Two projects have been awarded the “Best Edition 2017” prize for music editions this year: the latest installment Love songs in the LIEDERPROJEKT, and the Chorbuch zum Evangelischen Gesangbuch! The prizes will be awarded on Friday 7 April at 13.00 hrs at the Frankfurt Music Fair in Hall 8.0, Stand E50. 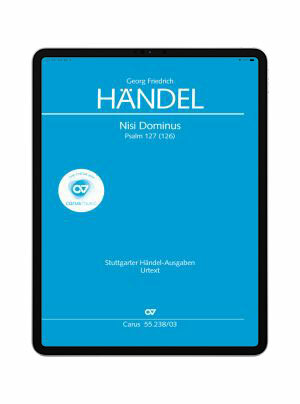 New available in carus music, the choir app: Georg Frederic Handel's Nisi Dominus and Felix Mendelssohn's Wer nur den lieben Gott lässt walten (If thou but suffer God to guide thee). Have a free trial of our demo versions. 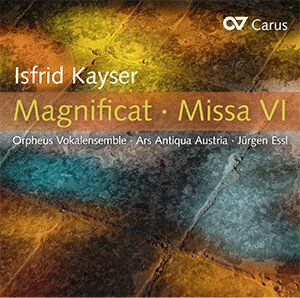 Isfrid Kayser's Magnificat and the Missa VI are presented here in a recording together with several smaller works; they document Kayser's extraordinary accomplishments. These majestically sacred works is interpreted by the Orpheus Vokalensemble and Ars Antiqua Austria under the direction of Jürgen Essl.